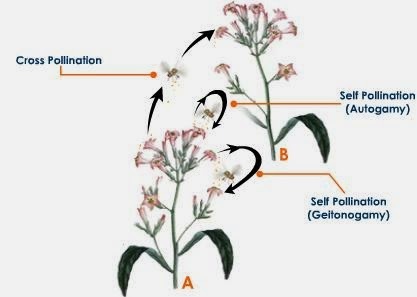 Self-pollination - transfer of pollen from the anther to the stigma of the same flower, or to another flower of the same plant. 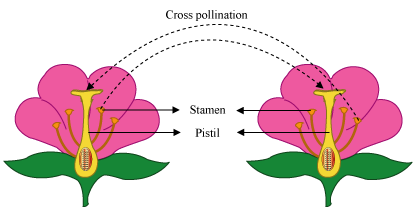 Cross-pollination - transfer of pollen from the anther of a flower to the stigma of a flower on a different plant of the same species. ↓ ability to adapt to environmental change. ↑ ability to adapt to environmental change.